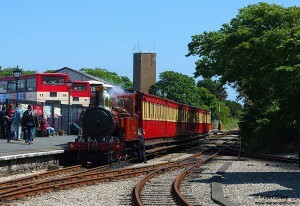 Named after Lieutenant Governor Henry Brougham Loch this Isle of Man Railway Steam Train No 4 “Loch” is seen here shortly after it arrived at Port Erin Railway Station. Great picture. I always enjoy watching the railway more than riding on it. Agreed, Eleanor. I find Settle-Carlisle just another train ride but it’s wonderful to watch. 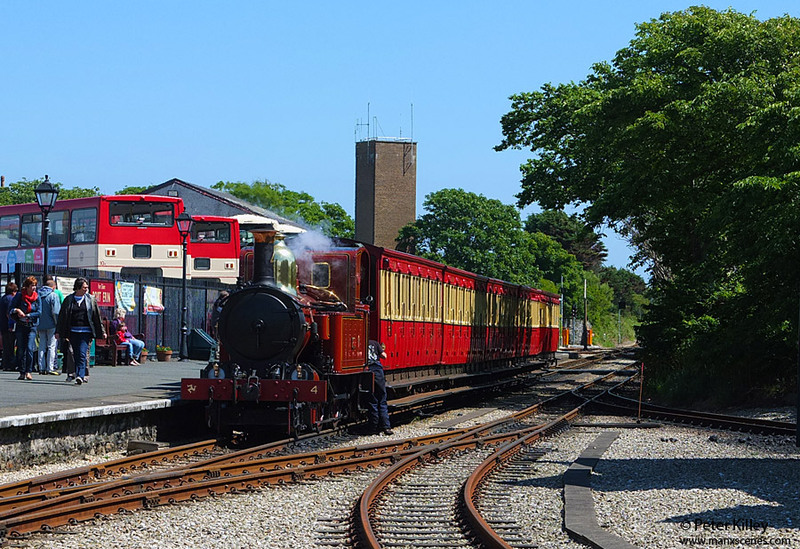 Today’s pedant point – “Loch” is a locomotive, the whole thing is a train. I’ll go and lie in a darkened room now . . .